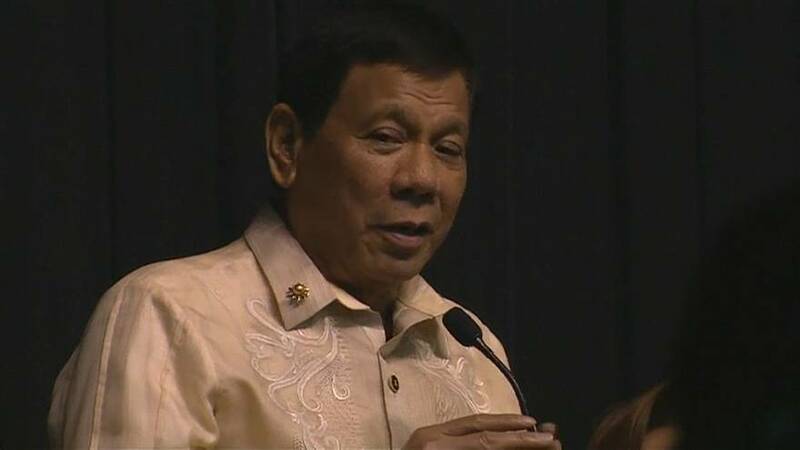 Rodrigo Duterte yesterday (November 12) took to the stage at a dinner gala in Manila to sing a hit Filipino love song, allegedly at the request of US President Donald Trump. The Philippine President appeared with local pop diva Pilita Corrales, crooning “Ikaw” (You) in front of a packed room that included Trump. “Ladies and gentlemen, I sang – uninvited – a duet with Miss Pilita Corrales upon the orders of the Commander in Chief of the United States,” he said. Trump and Duterte met on the sidelines of an annual gathering of leaders from East and Southeast Asia, held this year in the Philippine capital. On Monday (November 13), Trump said he had a “great relationship” with his Philippine counterpart, while Duterte told the U.S. president that the Philippines is an important ally.